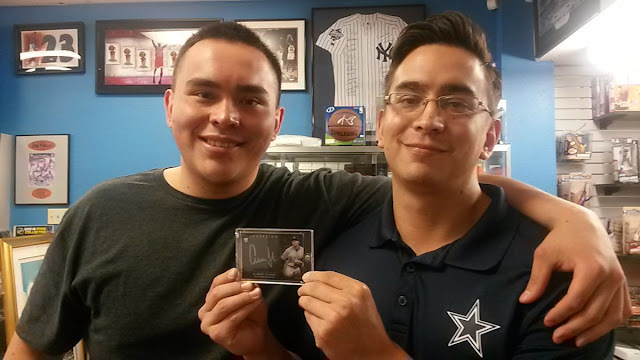 Sports Cards Plus is OPEN MONDAY, Memorial Day with a REALLY, REALLY HUGE GIGANTIC SALE, FREE ENTRIES to Win $1065 and get FREE Packs with purchases of $49 or more. 1. Every Panini America box you buy ($49 or more) on Monday, you get a FREE Panini Pack. 2. Every Hobby box of 2017 Topps gets you 1 Free Topps Silver Pack. Every 2017 Topps JUMBO Box gets you 2 Free Topps Silver Packs. Any other Topps Box you buy gets you 1 FREE Topps Spring Fever Baseball Pack. 3. Every Hockey Box you buy gets you a FREE Upper Deck Bonus Pack. Monday is Memorial Day, a day set aside to remember those who died in military service to our country. San Antonio, "Military Town USA" is the home of many military families who have lost a love one, a friend or relative in military service to our country. Remember to say thanks to our military families for their dedication and willingness to accept the possibility of their ultimate sacrifice.